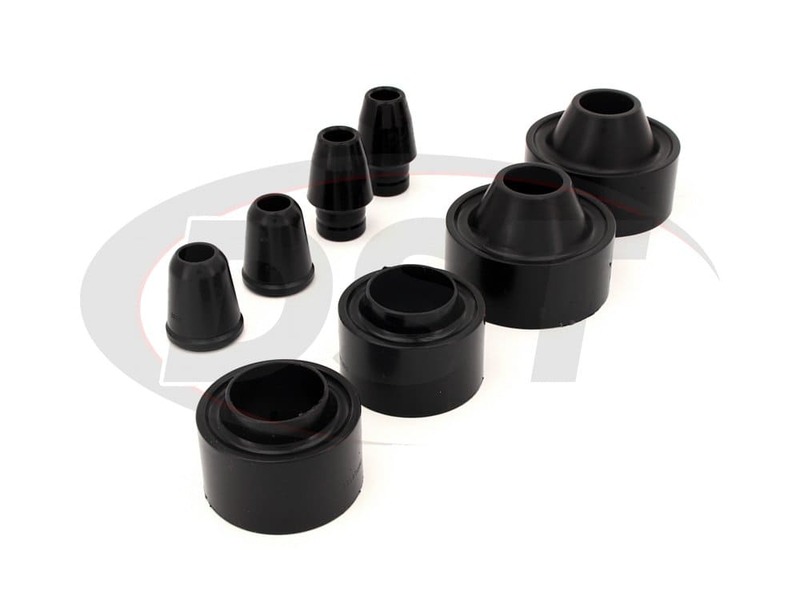 These 1.75in Coil Spring Spacers and Bump Stops fit all Jeep Wrangler JK models for the years 2007-2017. 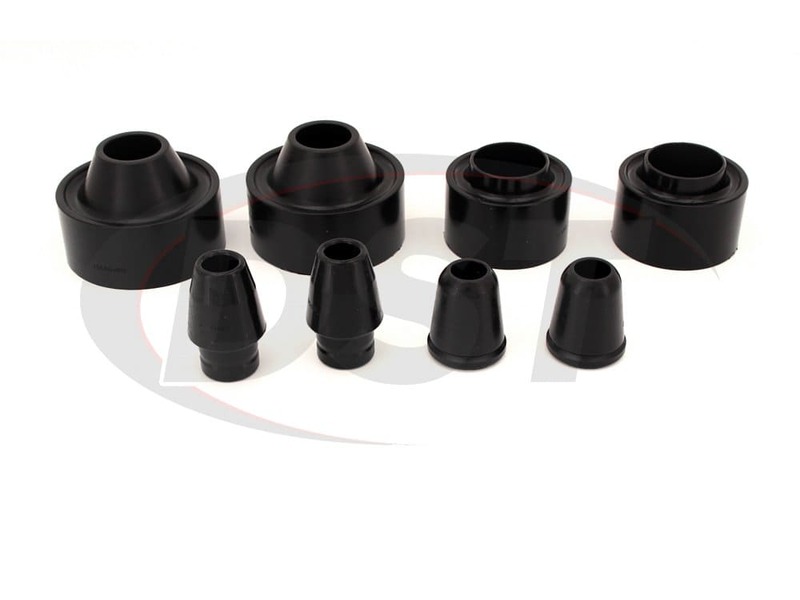 Sitting on top of the coil springs, the spacers act as a lift kit, increasing both ride height and ground clearance. That extra room creates space for tires up to 33" in diameter, further increasing ground clearance, ride height, and off-road capabilities. 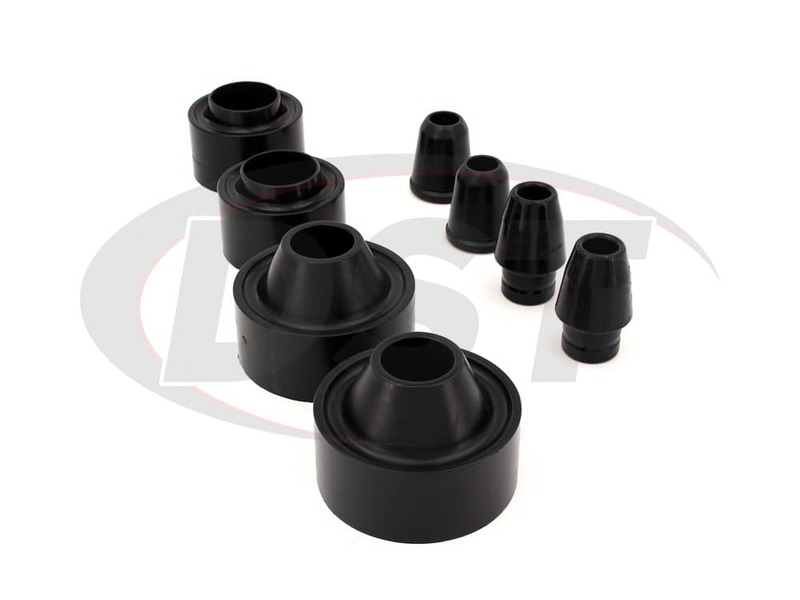 The included bump stops prevent your suspension components for colliding when at full bend in the toughest off-road environments. 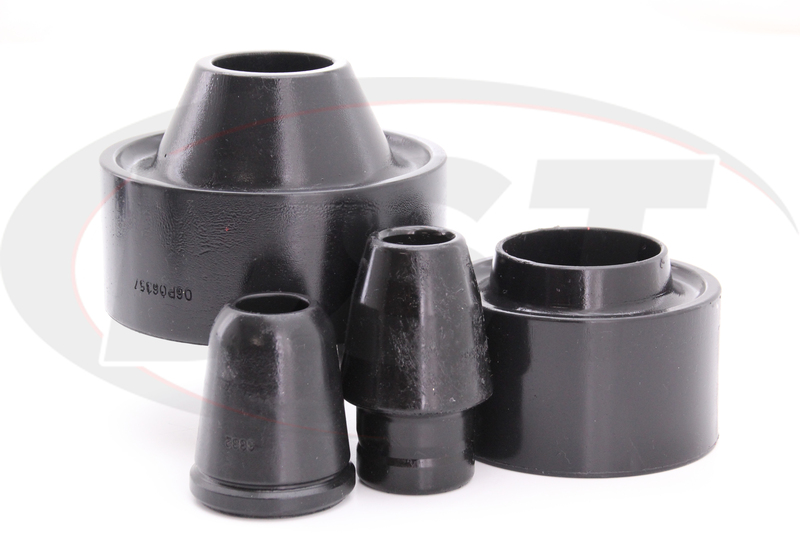 These spacers and bump stops have increased durability and lifespan, offering significant performance advantages to the rubber alternative. 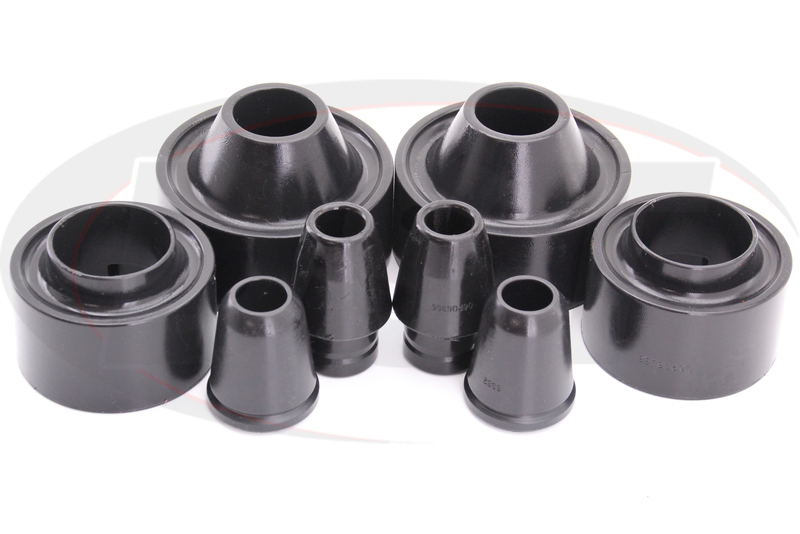 Rubber works well as a barrier to noise and vibration, but it is soft and wears away quickly over time. Apart from normal wear and tear, things like engine chemicals, smog, road salts, or heat can cause it to melt, crack, or fall apart. 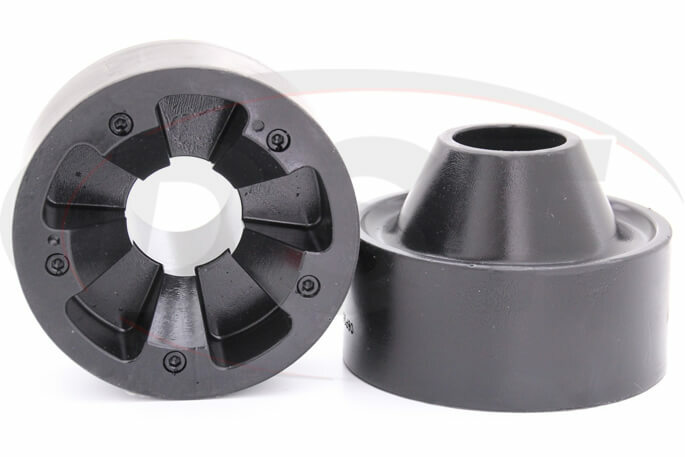 Energy Suspension's special polyurethane blend, on the other hand, is much stronger, harder, and flexes less which means a lower chance of deflection, and so durable that they will be working hard long after your Wrangler JK is retired. All of this and there's a minimal increase in noise or vibration compared to a rubber alternative. 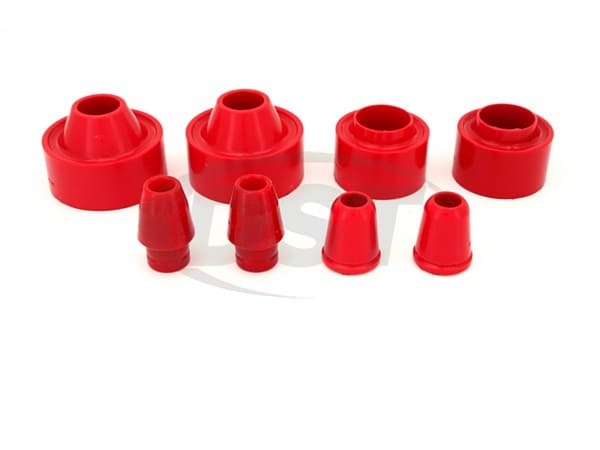 Do yourself a favor and grab this spacer and bump stop set while you have the chance. 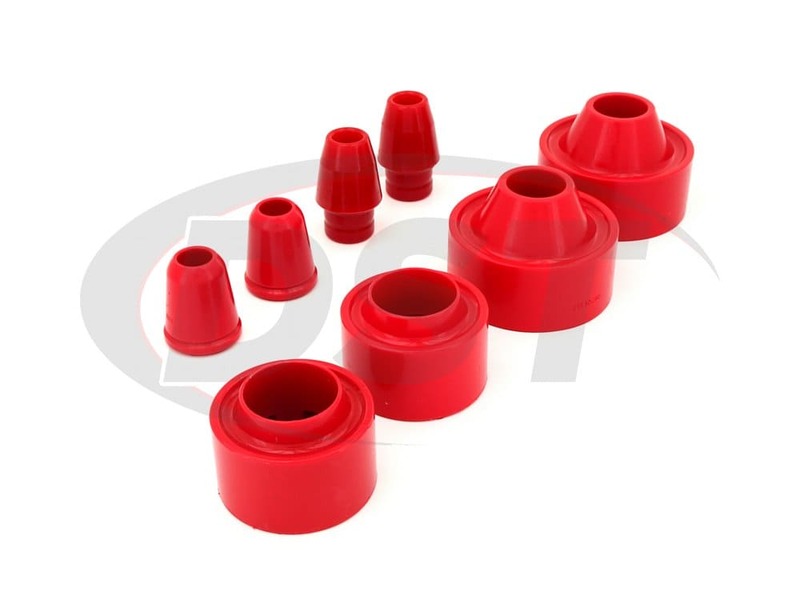 Energy has developed a special blend of polyurethane which they have named "Hyper-Flex" because it sports improved performance, durability, and handling over the rubber alternative. 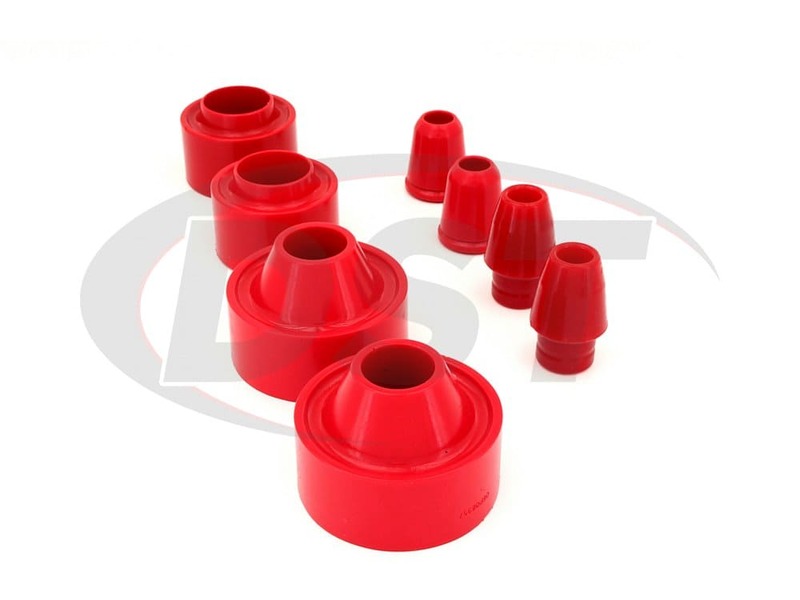 These poly spacers and bump stops will last a lifetime and to prove it, we're offering you our exclusive lifetime warranty.